Legacies of the World Wars. Check out the list of participating artists and directors for the B#Side War international art festival in Venice. It’s a privilege to be among them. The festival deals with the legacies of 20th century conflicts – an issue that personally hits home on many levels. B#SIDE WAR festival promotes an across-the-board combined reflection on the communal past of the 20th century conflicts. The festival is attended by researchers, curators, museums and cultural institutions, involving a network of 64 international partners. Artist Talk & Exhibition: RUINS / beauty and decadence. 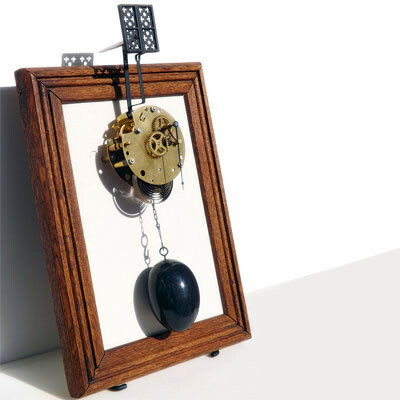 Art is Just My Pastime – Mixed-Media. 6th July 2018 – 5th August 2018. Ruins represent an intrinsic ambivalence: they are at the same time victims and survivors of the destructive time. It is the transience of beauty, the impermanence of things that has always fascinated the human mind and that, through the iconography of Vanitas, tried to foreshadow the terror of death, especially in times of war. This same language is resurfacing today, through different media and forms, in the works of contemporary artists who rework the legacies of the conflicts that have plagued the last century. A century marked by wars that strongly destroyed even the stuff built to survived the passing of time, inexorably changing the world and the rhythms of life. The incessant oscillation of the clock hand between two fixed points, photographs – family portraits- with erased faces, vases marked by cracks, skulls, ashes and flames, impressions of what we were: these are the elements that thanks to the work of the artists allow us to question ourselves about our impermanence, fragility and decadence, in the suggestive setting of the Castle of Duino. 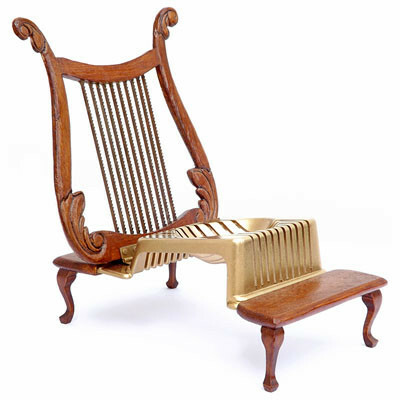 Artists: Boris Beja, Claudio Beorchia, Lorenzo Bordonaro, Silvia Cavallari, Cosima Montavoci, Angela Alexander-Lloyd, Stelios Manganis, Nathalie Vanheule. 7th December 2017 – 27th January 2018. 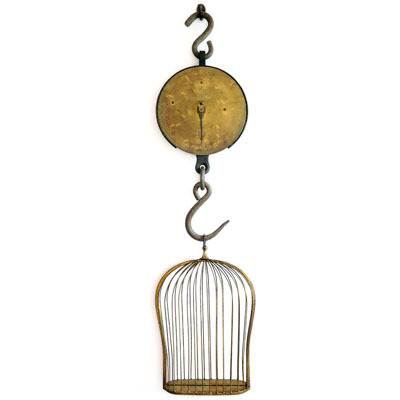 Impermanence is the first of three appointments with the Vanitas exhibition cycle. Impermanence accompanies the visitor through a suggestive narrative, dedicated to the concepts of memory -even linked to war experience- and loss of identity: the works bare the impermanence of the human being, with an explicit reference to iconographic elements such as the dust, the gesture of erasing and the slow disappearance of contours and figures. In the attempt to capture the inexorable flow of the time, the works exposed are able to evoke ancient universal feelings, representing the fugacity of life, and suggesting the role of personal and familiar memory as an antidote to cancellation. Artists: Claudio Beorchia, Sylvia Griffin, Coral Woodbury, Stelios Manganis, Lorenzo Bordonaro, Silvia Cavallari, Mario Loprete, Anne O’Callaghan, Carola Minicleri. Some good news. Art Director Chiara Isadora Artico has informed me that I have been selected to exhibit in Venice/Treviso in 2018/2019, as part of an International art festival on 20th century conflicts. 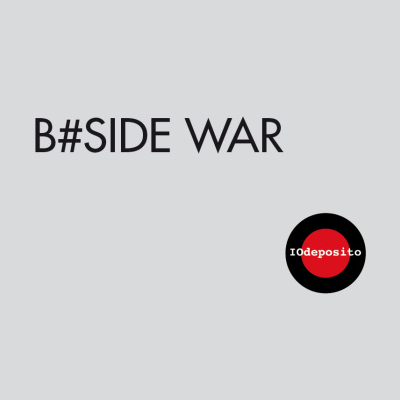 B#SIDE WAR festival promotes an across-the-board combined reflection on the communal past of the 20th century conflicts. The festival is attended by researchers, curators, museums and cultural institutions, involving a network of 64 international partners. 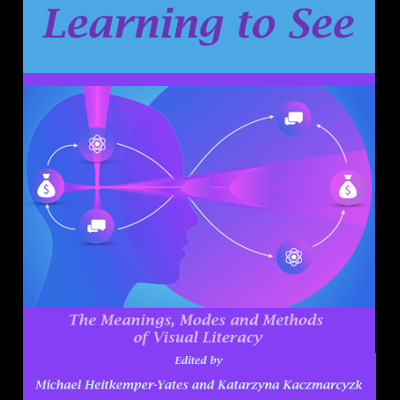 Published Book Chapter: Learning to See: The Meanings, Modes and Methods of Visual Literacy. Edited by Michael Heitkemper-Yates and Katarzyna Kaczmarczyk. My work on Affect Transmission through Mechanical Artworks has been published as a book chapter in Learning to See: The Meanings, Modes and Methods of Visual Literacy. The eBook has been edited by Michael Heitkemper-Yates and Katarzyna Kaczmarczyk and published by Inter-Disciplinary Press (IDP). 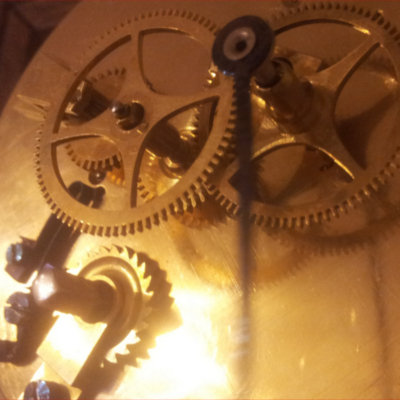 My chapter charts the notions of affect involved in the ‘instantaneous emotional impulses’ generated by the viewer’s capacity to identify and interpret the parts of a work of mechanical assemblage. My interdisciplinary approach to the affective dynamic that exists between the object and the viewer focuses upon perception as both a sensory and an emotional mechanism. Published Journal Article: ON Amnesia. Imprints of sound and movement for patients with amnesia. Issue 2, Number 2, November 2016. Good news! My article on how imprints of movement and sound in mechanical art forms can be employed in managing certain cases of patients with amnesia has been published in ON, academic peer-reviewed audio journal for Experimental Art and Visual Culture, published by the University of New South Wales (UNSW), Australia. 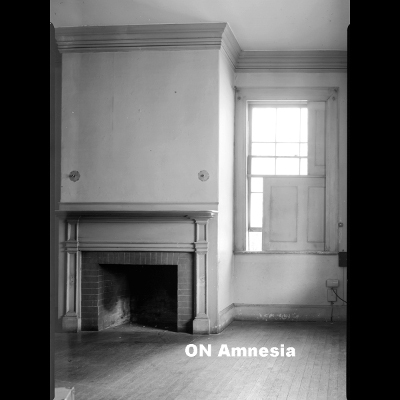 The ON Amnesia issue looks at new understandings of memory formation and memory loss emerging at the intersection of arts and neuropsychology. Keynote contributors include Jill Bennett, professor of experimental arts, and Catherine Loveday, principal lecturer in cognitive neuroscience. Commission: Play Me, I’m Yours. Canary Wharf Crossrail Station, London. I am delighted to announce that Transportal will remain available to play for the foreseeable future! Project curator Cara Jean Flynn and organisers Canary Wharf Group PLC would like to permanently house the piano at Canary Wharf. This is brilliant news, as even more people will be able to experience the work, which is currently being exhibited at Canary Wharf Crossrail Station, West End Lobby, 1st Floor. 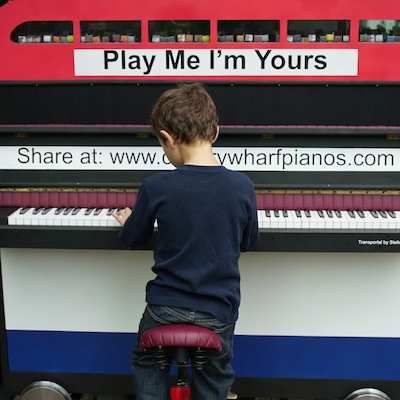 Transportal – Play Me, I’m Yours project. I have been interviewed by Anda Buševica of Latvian Radio 1 about my work, Transportal, and the Play Me I’m Yours project at Canary Wharf, London. The radio show will be aired on October 3rd at 3:05pm local time. If you’ve missed it, a recording of this broadcast can be found on LR1 webpage link above. Transportal is a large-scale, interactive installation which has transformed an actual upright piano into an assemblage of different means of transport. It is currently being exhibted at Canary Wharf’s Crossrail Station in London, as part of the Play Me I’m Yours project. The project is commissioned by Canary Wharf Group PLC and it is being curated by Cara Jean Flynn. 14th September – 12th October 2015. Transportal, my kinetic sculpture for the Play Me, I’m Yours project has been installed at Canada Square Park in Canary Wharf (E14 5AH). Follow the links above and click on a piano location to post and/or view films, photos, and comments on our pianos! Update: Due to adverse weather, Transportal has been relocated to Canary Wharf Crossrail Station, West End Lobby, 1st Floor. Great news! 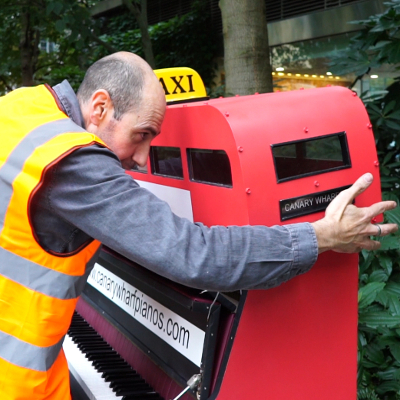 I have been commissioned by Canary Wharf Group PLC to create “The Moving Piano”, a large-scale kinetic sculpture that will transform an actual piano. The work will be exhibited in Canary Wharf, London, in September 2015 as part of the “Play Me, I’m Yours” project. 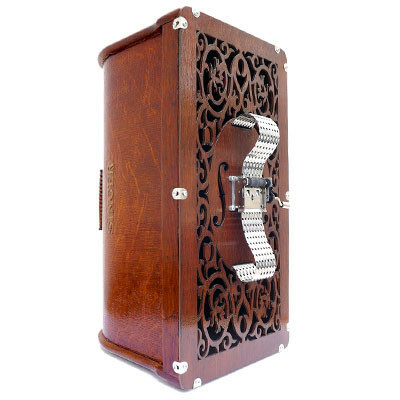 Touring internationally since 2008, “Play Me, I’m Yours” is a project by Luke Jerram. Reaching over six million people worldwide – more than 1,300 pianos have already been installed in 45 cities across the globe, from New York to Paris, bearing the simple instruction “Play Me, I’m Yours”. Located in public parks, bus shelters and train stations, markets and even on ferries the pianos are available for any member of the public to play and enjoy. Who plays them and how long they remain on the streets is up to each community. By creating a place of exchange Play Me, I’m Yours invites the public to engage with, activate and take ownership of their urban environment. Birth Online : Birth Offline. 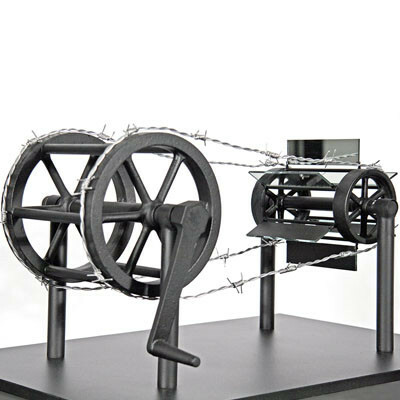 I have been commissioned by the Birth Rites Collection (BRC) to create a large scale, interactive sculpture. The Birth Rites Collection is the first and only collection of contemporary artwork dedicated to the subject of childbirth. The collection is housed between the Royal College of Gynaecologists and Obstetricians in London and Salford University Midwifery Department. “Birth Online : Birth Offline” is a cross-cultural participatory art project and exhibition exploring varying communities’ contemporary perspectives of birth in the digital age. Curator and Artist of the Birth Rites Collection, Helen Knowles, carried out an artist residency over the summer at Santa Fe Arts Institute and worked with Samantha Lippett, Birth Rites Intern, to visit Native American women and midwives from the pueblos in and around Santa Fe and British men and women in Salford University, Castlefield Gallery, Cambridge University, Art History in the Pub, London and UCLAN, Preston. A group of artists will now work with this subject and exhibit at a number of venues. These artists represent a variety of voices on the subject and come from distinctly different backgrounds. Book Publication: The Language of Mixed-Media Sculpture. A book by Jac Scott. An update on the much anticipated book by Jac Scott. The book will bear the title “The Language of Mixed-Media Sculpture” and 55,000 words and 223 catalogued images are now with the publishers. The book is expected to be published by Crowood Press in February 2014. “The Language of Mixed-Media Sculpture” will be a visual feast featuring a number of international sculptors expressing their attitudes in 3D. The artists selected include Andre Woodward, Catherine Bertola, Elpida Hadzi-Vasileva, Liliana Porter, Mary Giehl, Marilene Oliver, Pascale Pollier, Kate MccGwire, Niko Neelova, Michael Shaw, YaYa Chou, Yuebin Gong, Peter Freeman, Paul Moss, Rachel Allen, Eliza Bennett, Awst & Walther, Andrew Burton, Noam Ben-Javov, Ricardo O’Nascimento, Stelios Manganis, Mark Houghton, Janet Curley-Cannon, Cath Keay, Liz West, David Alesworth, Dorcas Casey and Andrea Hasler. 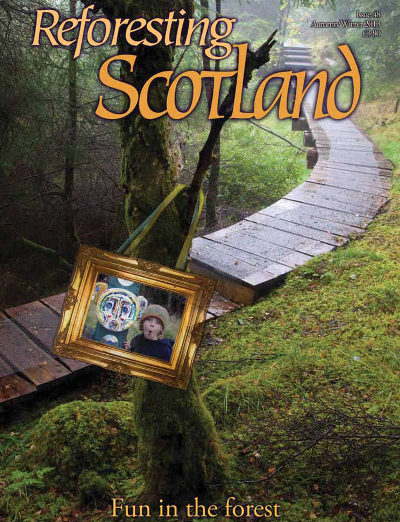 My multimedia installation during the Outlandia residency in Scotland, at the foot of Ben Nevis, has been featured in Tracey Warr’s article “Buildings of the forest: Outlandia” in the “Reforesting Scotland” journal, issue 48. Reforesting Scotland is a membership organisation encouraging free and open debate on a wide range of forest and land issues. Through its international networking, Reforesting Scotland links with people-focused projects throughout the world. My installation at Outlandia allowed individuals from all over the world to interact remotely with the unique landscape features, challenges and tensions involved. An update following my residency at Outlandia. 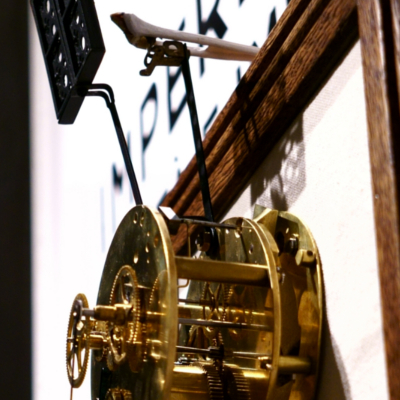 The communication between man and environmental elements, through technological aids was my project’s main concern. In addition, I examined how creating a social dialogue between Ben Nevis and the local community, through an investigation of new boundaries of perception and illustration of the natural environment, could practically be achieved both effectively and efficiently. The resulting visual enhances the concept of communication between individual trees, and between the tree and the viewer. In addition, it creates an additional dimension to the aesthetic properties linked to the overall movement and response of the trees to natural impulses, such as the wind and light. The installation allowed viewers from around the world to interact with the local environment and experience the actual visual effect created in real time, through the live streaming of the video footage from Outlandia. You can read more about the technical aspects of the installation if you follow the link above. I have been offered an artist residency at Outlandia, an off-grid, artist studio, up a steep forest track on a hillside facing Ben Nevis. The aim is to create an experimental, radical approach to a challenging natural and working environment that will engage with the local tensions around nature, industry, tourism or heritage. Outlandia by artists London Fieldworks was designed by Edinburgh based Malcolm Fraser Architects. Tracey Warr is Associate Curator for the project and its Honorary Patron is Robert Macfarlane. 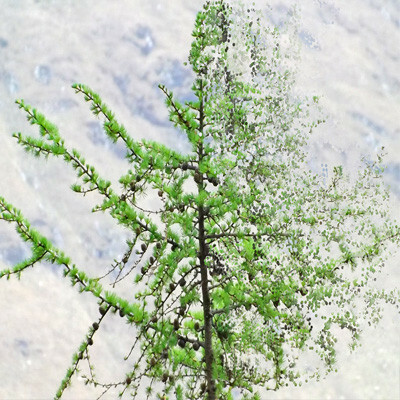 Outlandia is supported by an Advisory Group of local artists, residents and curators and is located in a copse of Norwegian Spruce in Glen Nevis on Forestry Commission land, at the foot of Ben Nevis in the Scottish Highlands, approximately 3 miles from the town of Fort William. 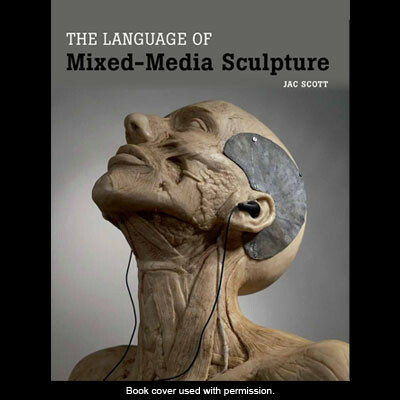 I have been selected by artist Jac Scott for her next book about mixed-media sculpture. ‘Revolutionary Sculpture’ will be a visual feast featuring a number of international sculptors expressing their attitudes in 3D. The artists selected include Andre Woodward, Catherine Bertola, Elpida Hadzi-Vasileva, Liliana Porter, Mary Giehl, Marilene Oliver, Pascale Pollier, Kate MccGwire, Niko Neelova, Michael Shaw, YaYa Chou, Yuebin Gong, Peter Freeman, Paul Moss, Rachel Allen, Eliza Bennett, Awst & Walther, Andrew Burton, Noam Ben-Javov, Ricardo O’Nascimento, Stelios Manganis, Mark Houghton, Janet Curley-Cannon, Cath Keay, Liz West, David Alesworth, Dorcas Casey and Andrea Hasler. The book will be published by Crowood Press. ‘Qualitative Research on Sport and Physical Culture’ by Emerald Publishing. Based on Body Culture Exhibition. Publication Date: 12 October 2012. A short interview of mine has been published by Emerald Publishing, as part of Emma Rich and Kerrie O’Connell’s chapter ‘Visual Methods in Physical Culture’. This is based on the Body Culture Exhibition which took place earlier this year, during which I was asked to create work as a response to research findings by Dr Emma Rich. The chapter is in Kevin Young’s and Michael Atkinson’s ‘Qualitative Research on Sport and Physical Culture’. Visual Literacies: Exploring Critical Issues. I will be presenting a paper at the 6th Global Conference, Visual Literacies: Exploring critical issues, Oxford, from Tuesday 3rd July-Thursday 5th July. This inter-disciplinary and multi-disciplinary conference seeks to examine and explore issues surrounding visual literacy in regard to theory and praxis. Perspectives will be presented from those engaged in fields such as education, visual arts, fine arts, literature, philosophy, psychology, critical theory and theology. The conference is part of the ‘At the Interface’ series of research projects run by ID.Net. It aims to bring together people from different areas and interests to share ideas and explore various discussions which are innovative and challenging. All papers accepted for and presented at this conference will be eligible for publication in an ISBN eBook. Selected papers may be invited to go forward for development into 20-25 page chapters for publication in a themed dialogic ISBN hard copy volume. I will be a keynote speaker at the 2nd International Congress of Interdisciplinary Research and Development, INRIT2012, in Bangkok, Thailand, from Thursday 31st May-Friday 1st June. The theme of the Congress is Interdisciplinary Innovations. Interdisciplinary activities are activities that involve interaction among two or more disciplines. Innovation is the creation of better or more effective ideas, technologies, processes, products, or services. There are many reasons why innovations are needed, such as for progression of human well-being, for economic growth, for competitive advantages, for higher business revenues. The topics of interest of this Congress are interdisciplinary innovations involving two or more of disciplines such as Arts, Education, Health Sciences, Psychology etc. To share knowledge and advances in Interdisciplinary Innovations. To build networks of professionals, researchers, educators and policy-makers practicing Interdisciplinary Innovations. To expand the opportunity for knowledge interchange. To facilitate knowledge-sharing for ongoing initiatives. 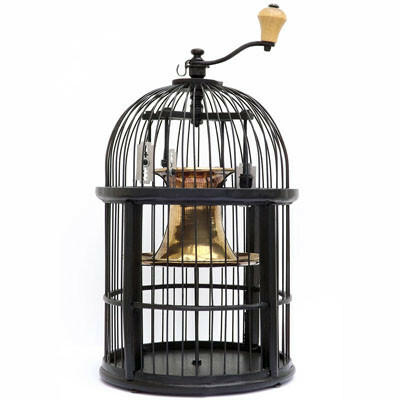 To build repositories of current practices and lessons learned. All papers will be published in a Special Issue of the International Journal of the Computer, the Internet and Management (IJCIM), ISSN 0858-7027, www.ijcim.th.org, in the e-form first, and then the printed form later. I will be presenting a paper at the Ars et Medicina Symposium at the Norwegian Institute in Rome, from Monday 7th May-Tuesday 8th May. From antiquity to the present, medical science and art have been inextricably entwined. Contemporary artists collaborate with medical scientists, and medical professionals still find inspiration for new medical techniques and practices in art. The lectures in this symposium will be in-depth case studies illustrating the varied relationships between art and medicine. The symposium lectures will be structured in sessions composed of lectures related to each other by topic and/or disciplinary perspective. Both medical scientists with interests in the arts, and scholars of the arts with interests in science and medicine will participate. Participants will confront the challenge of engaging in discussion of how medical science and the humanities enrich and inspire each other and will attempt to transcend disciplinary borders and challenge pre-existing interpretations of the relationship between medical theory, practice and artistic expression.